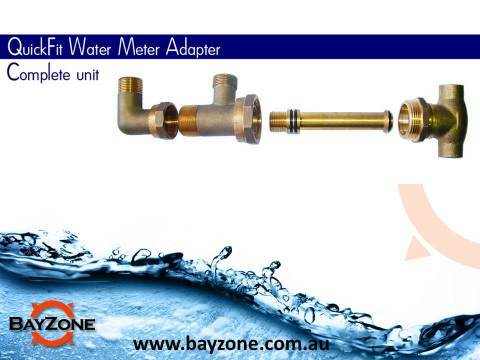 The QFWMA 101 & 202 installation aid is an Australian innovation for sub-metering water. 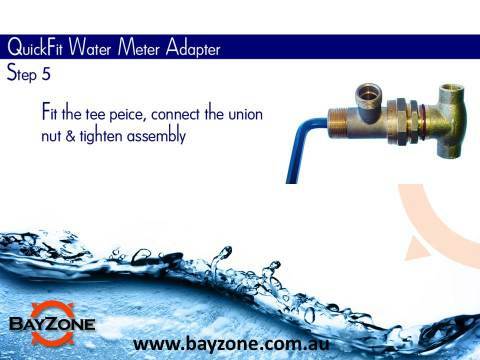 The unit is designed for retrofitting in hard or unworkable access areas, for example where a shut off valve is under concrete or within a wall cavity or cupboard. 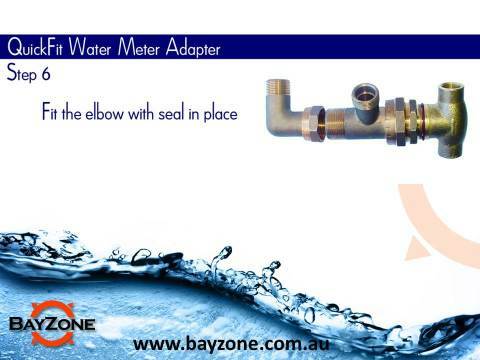 360 degree flexibility for shut off valves located in tight and difficult areas. 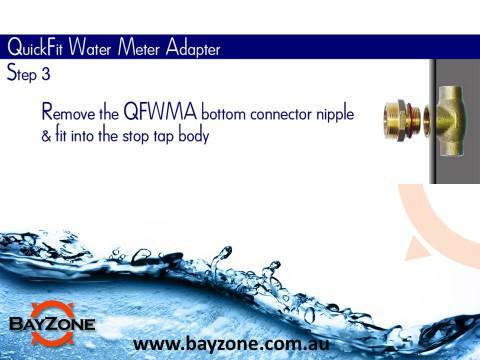 The QFWMA101 & 202 is protected by International Patents and Copyright. 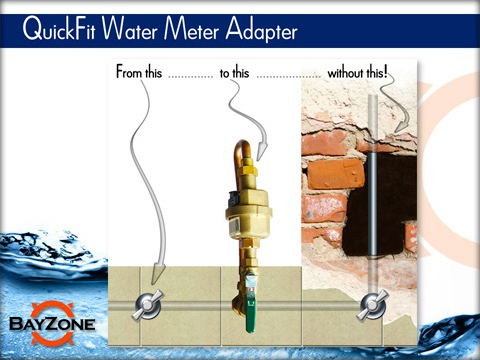 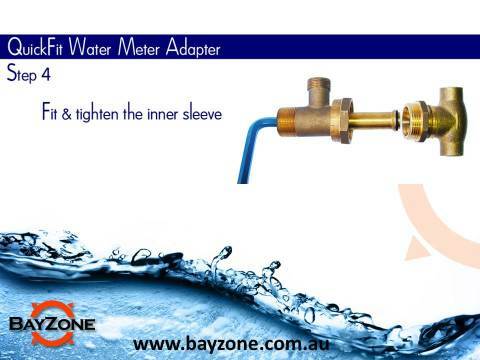 The Bayzone Quick Fit Meter Adaptor ( QFMA), designed to make the installation of a water meter more affordable. 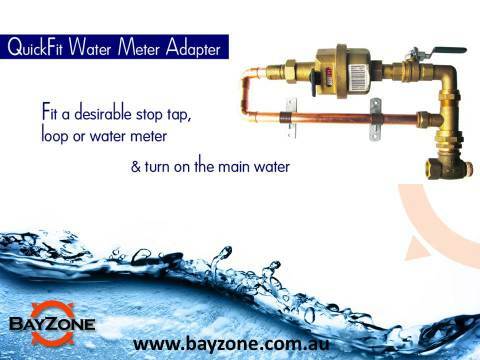 if you have a plumber, get them to contact us so we can educate them on this product, it will save time mess and money. 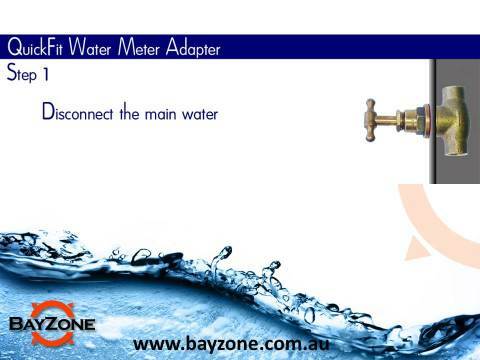 Sub-metering water has never been so EASY … The QFWMA 101 & 202 is designed to make it simple, quick and affordable to install a water meter which can be used in houses, flats, blocks of units and commercial areas quickly and efficiently. 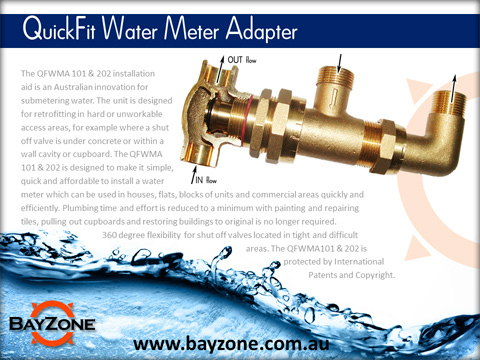 Plumbing time and effort is reduced to a minimum with painting and repairing tiles, pulling out cupboards and restoring buildings to original is no longer required.